Prior to forming JB Ranch and Land Group at Compass Real Estate with Jim Brosche, Brenda built a solid reputation selling Ranches and Luxury Homes. Brenda was a Founding Member of the Briggs Freeman Sotheby’s International Realty Ranch & Land Division, earned the title Vice President and recognized by D Magazine as a “D Best Top Producer”. Brenda is a Broker Associate with Compass specializing in Ranch and Land properties as well as residential. She specializes in North Texas, where her family's home place originated in the 1870's and where cows still roam. She has enjoyed raising and showing quarter horses and spending time on the land where her family has been for generations. Her expertise in the real estate market is the product of 30+ years of successfully marketing farm and ranch land. "Brenda Moerschell has been a Realtor for my family for over 20 years. She is one of the most kind, dedicated and hard-working individuals you will ever meet. Brenda makes the real estate world manageable and takes great care of you in the process. I would highly recommend her to anyone looking to sell or purchase real estate." 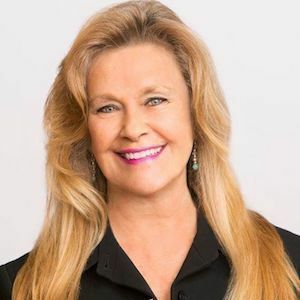 Brenda has a broad network of clients and agents with whom she has cultivated great relationships throughout the counties that make up North Texas, enabling her to connect the perfect properties with the perfect buyers and sellers. "I am thankful for the work Brenda did for us. We had our property on sale for 12-14 months, and Brenda never gave up on us," said one recent seller. Feeling blessed and also striving to help others, for 20 years Brenda coordinated celebrities for the Gatlin Brothers' Celebrity Golf Tournament benefitting Muscular Dystrophy. She is currently involved with Human Coalition and the Downs Syndrome Guild of Dallas.